Financial incentives can help families on government assistance eat healthier, according to a randomized controlled trial. A 30% rebate on fruits and vegetables increased their daily consumption by 26% (0.24 cup-equivalents per day; 95% CI 0.13-0.34; P<0.001) in households participating in the Supplemental Assistance Nutrition Program (SNAP), reported Lauren Olsho, PhD, of the research firm Abt Associates in Cambridge, Mass., and colleagues. The higher fruit and vegetable intake boosted the mean Healthy Eating Index-2010 score by nearly 5 points in these households, Olsho and colleagues reported in the American Journal of Clinical Nutrition. "[F]inancial incentives are a promising strategy for increasing FV [fruit and vegetable] intake in the SNAP population. The estimated impact was sufficiently large to close about one-fifth of the gap between current and recommended amounts of FV intake, and more than sufficient to close the entire gap in the dietary quality of ... participants as measured by the HEI-2010 relative to their non-SNAP–participating peers," Olsho and colleagues said. Few Americans meet the national recommendations for fruit and vegetable intake, and the shortfall is particularly pronounced among the less affluent, the investigators said. "Increasing FV intake may decrease the burden of disease among SNAP participants by reducing the incidence of cardiovascular diseases and cancer," they argued. 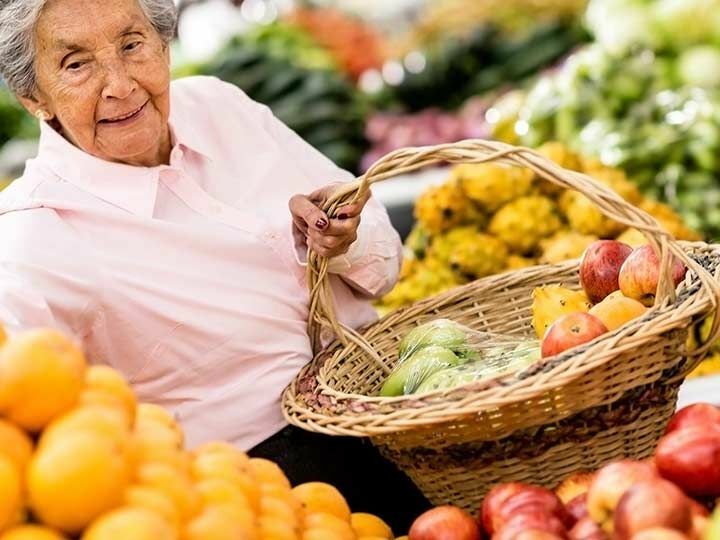 The trial evaluated the U.S. Department of Agriculture's Healthy Incentives Pilot (HIP) program, which offered a 30% rebate for 1 year on certain fruits and vegetables purchased at participating retailers using SNAP benefits. The rebate was offered for fresh, canned, frozen, and dried fruits and vegetables without added sugars, fats, oils, or salt. White potatoes, dried beans and peas, and 100% fruit juice were not eligible for the rebates. The trial was conducted in Hampden County, Mass., where 7,500 randomly selected SNAP households received the rebate. The remaining 47,595 SNAP households received benefits as usual. Trained interviewers conducted telephone interviews with adults from approximately 5,000 randomly selected SNAP households, half of which received the rebate and half of which did not. The interviews, which included 24-hour dietary recall, were conducted at baseline (1-3 months before the intervention), and at 4-6 months and 9-11 months after the intervention was implemented. The final study sample included 2,009 adults who completed the baseline interview and at least one of the follow-up interviews. When the investigators looked at total fruit and vegetable consumption in SNAP households, and not just the fruits and vegetables eligible for the rebate, they found that daily consumption had increased in households receiving the rebate by about one-third of a cup (0.32 cup-equivalents per day; 95% CI 0.17-0.48; P<0.001). This figure was driven largely by a 21% increase in the consumption of 100% fruit juice. The SNAP participants may have mistakenly believed that 100% fruit juice was eligible for the rebate, or the increased consumption of other fruits and vegetables may have led to a "spillover effect" that boosted juice consumption, Olsho and colleagues speculated. The mean Healthy Eating Index-2010 score increased by a mean of 4.7 points in the intervention households compared with the control households. The higher score was partly driven by reduced consumption of refined grains in the intervention group (-0.43 ounce equivalents; 95% CI -0.69 to -0.16; P=0.002). "We take this as evidence that the HIP resulted in a substitution of refined grain intake with FV intake. There were no statistically significant impacts of the HIP on other food pattern components," the investigators said. Limitations of the study included its reliance on self-reported data, and that it did not follow participants to determine whether the improved fruit and vegetable consumption continued after the rebate incentive ended, Olsho and colleagues said. "Citing the precedent of the HIP, the USDA more recently has funded the Food Insecurity Nutrition Incentive grant program, which offers grants for programs to increase FV consumption among SNAP participants through point-of-purchase incentives. More research is needed on mechanisms of action and potential long-term effects and health outcomes," Olsho and colleagues said.